Charlotte Hollins from Fordhall Community Land Initiative shares her three top tips for launching a community share offer. You can find out more on community shares in the latest episode of the Community Business Fix podcast. 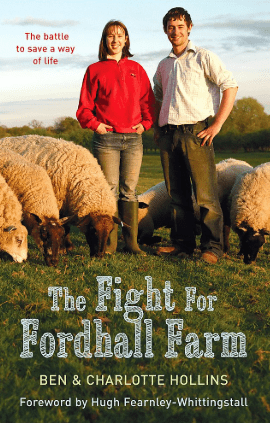 You can also buy her book – The Fight for Fordhall Farm – direct from the farm. I set up the Fordhall Community Land Initiative in response to the threat of eviction from our family farm in 2005. My father died, and our landlord offered us a first refusal option to buy the farm if we raised £800,000 within 12 months. 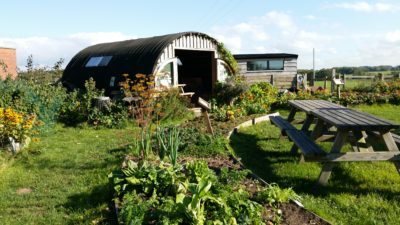 We were desperate not to lose the farm and along with other family members and local volunteers, we launched a community shares offer, allowing members of the public to buy shares in the farm at £50 each. Sell the vision of what you will create as a result of your community share scheme and your wider community business project, whether that’s for the short term or the long term. Things that can help you do this include: an artist’s impression of what you want to do with a building or what an area of land might look like, a short video with members of your community or volunteers to show how they would like to use that asset, or a written story selling the future vision of your project. You could share other examples of similar projects from around the country. Words are powerful. Don’t underestimate the power of your stories. Community shares are a great way for your community to be involved with your project, but not the only way for them to be involved. You can sometimes encourage the sale of your community shares by offering more opportunities for your members to get involved, whether it be volunteering or by dropping off some reams of paper or pens for the office. When community projects are in their very early days, those small resources can make a big difference. It’s important to find ways to make people feel more involved with your project or to get to know more about it, then once trust is built up they might go on to buy their community shares or even buy more community shares. It’s important to continue sharing your project’s entire journey, including after that initial excitement of the share campaign. Make sure your members and potential new members feel like they are part of your project, even if they can’t be there every day. Share the successes and your vision and consult on different directions that you might take moving forward. But, also share the struggles and ask for advice. Try and communicate in as many ways as possible, whether it be email, paper newsletters, social media, or events. Be as open as you possibly can be, not only to sharing what is going on but also listening to your members and taking their ideas on board. Lastly, good luck! Setting up a community share offer isn’t an easy endeavour, but the rewards and benefits to your local community are remarkable.